There’s no place like home. So why not enjoy a fantastic in-home therapeutic massage at your Tampa residence? Whether it’s something you’ve done before or something you’re researching for the first time, you’ve definitely come to the right place if you’re looking for professional service and talented Florida licensed massage therapists to visit your home. We have developed a roster of male and female massage therapists that cover the entire Tampa Bay area. Most people choose from either a Swedish massage which is more on the relaxing side and similar to what you might get at a spa, or deep tissue massage which is great for working out makes them pains and generally provides stronger pressure. If you’re not certain which option is right for you feel free to ask us. Our friendly representatives are always standing by every day of the week to answer any of your questions and help look your massage. Getting your in-home massages pretty simple; all you have to do is find a little bit of spare space within your home and our massage therapist will bring all of the required supplies along with their table, set it up and you’ll be ready to go! 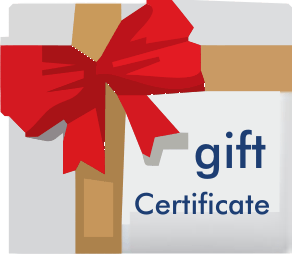 Many people also like to give our in-home massages as a gift so do not hesitate to check out our gift certificates. We also can arrange for couples massages with either one therapist performing back to back sessions or two therapists providing services side-by-side. We’d love to hear from you! Just give us a call and ask away. Or if you’re ready to book you can also use our online Tampa massage request form. We assure you you will not find a more reputable and professional company to provide for your at home therapeutic massage needs. Call today at 880 929-9355!